Indiegogo's Technology Now Trending Section ! 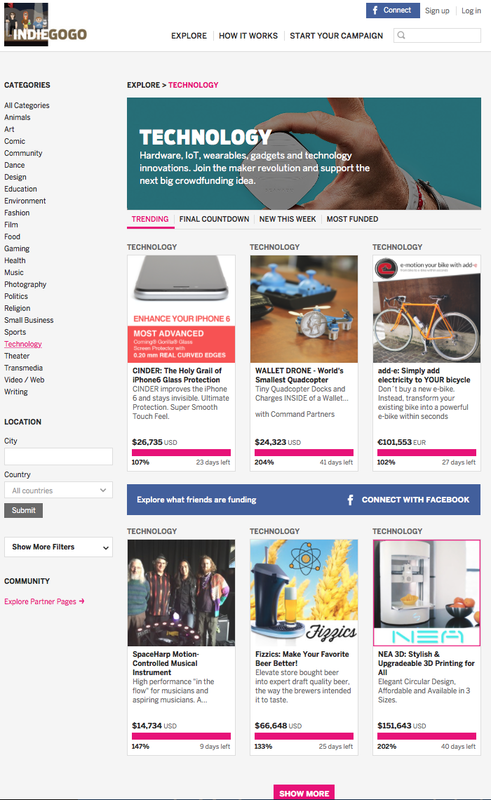 SpaceHarp appeared today on the Top Page of Indiegogo's "Explore/Technology/Trending tab." (Woo Hoo!) Thank you to all our campaign contributors and to all the SpaceHarp team, wow! A fantastic job, so keep on sharing! The momentum is fast accelerating!